Introducing the brand new 180mph (290 km/h) addition to Esprit Tech’s Demo fleet. 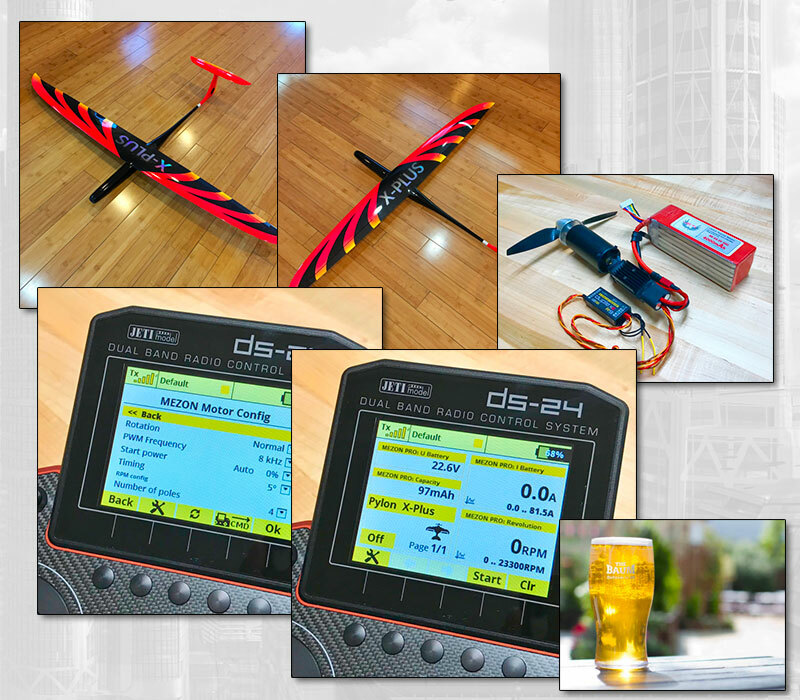 The Yuri Virchenko’s full composite X-Plus Hotliner/Pylon Racer combined with direct drive Neu 1415/3D motor, Jeti 3300 6S battery, MKS HV6130 digital servos and new Jeti Mezon Pro 80 programmable ESC which gives you transmitter wireless programming capabilities and full telemetry with instant data logging. This will give the thrill that we have been looking for.